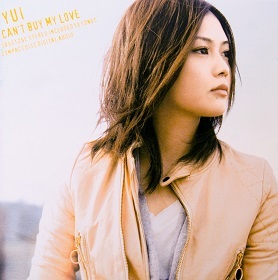 This 2nd album of YUI spent 2 weeks on number 1 at Oricon's chart. With over 680,000 sales this album also certified as 3X Platinum by RIAJ (Recording Industry Association of Japan). 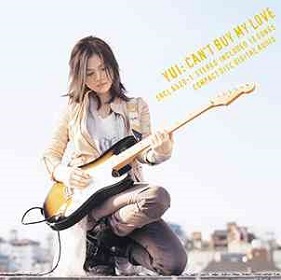 This is the most successful YUI's album, and with this popularity, adding 9,000 sales to her previous album. The album title, Can't Buy My Love's message is Ai suru mono ni wa kantan ni wa yuzurenai (愛する ものには 簡単には 譲れない) which means in English I can't easily hand over things that I adore. All songs are written and arranged by YUI, except RUIDO that arranged by Kenji Ogura and Highway Change that arranged by COZZi. Some songs from this album has its own successful history and released as Single. Goodbye days that used for her film Taiyou no Uta, Rolling Star that used as fifth opening of Bleach anime, and CHE.R.RY that was featured in commercials promoting KDDI, a Listen Mobile Service. This album released in two version : regular edition with 13 tracks in CD, and limited edition with CD plus DVD containing 4 music videos.